10 years ago today, Brooklyn indie rockers The Hold Steady performed a show at Club de Ville in Austin for SXSW. You can watch their full 16-song set below, equipped with crystal clear audio. Craig Finn and the rest of the band performed a career-spanning set. Highlights include their zippy performance of “Hornets! Hornets!” from their 2005 LP Separation Sunday and a passionate rendition of one of their most celebrated tracks, “Stuck Between Stations” from their 2006 album Boys and Girls from America. The nerdy, critically-acclaimed band’s distinct blend of classic rock, post-punk, heartland rock and intricate lyrical storytelling is put on display here, and Finn is in immensely good spirits—bouncing around, clapping and flailing his arms in front of the SXSW faithful. 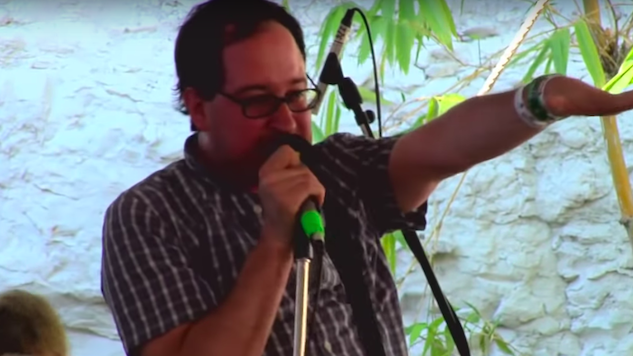 Watch The Hold Steady’s entire set from this day in 2009 below.